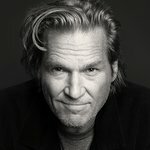 Academy Award winning actor Jeff Bridges, spokesman for Share Our Strength's No Kid Hungry Campaign, unveiled a state-by-state strategy to end childhood hunger in the United States by 2015 at the National Press Club in Washington, D.C. this week. Bridges outlined the No Kid Hungry Campaign’s plan to close the childhood hunger accountability gap by increasing enrollment in federal food and nutrition programs. He also announced the launch of No Kid Hungry Campaigns across America that seek to include governors, mayors, nonprofit partners, those that have experienced hunger, state agency leaders, private funders, and the culinary, business and faith-based communities. Share Our Strength describes the NKH campaign as a non-partisan, cost-effective approach to enlist private funders, public officials, and nonprofit groups to create plans with measurable goals to end childhood hunger at the state and local level. Bridges, 60, has been a leading advocate for global hunger issues and in 1983 he founded the nonprofit End Hunger Network to combat hunger around the world. 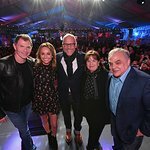 The charity now focuses its efforts on raising awareness through the media and generating public action to end U.S. child hunger. Nearly 17 million children in America, almost 1 in 4, struggle with hunger, according to a 2009 U.S. Agriculture Department report. Bridges was joined by Share Our Strength Founder and Executive Director Billy Shore. Over the last 25 years, Share Our Strength has raised more than $280 million and provided funding to more than 1,000 community organizations working to end childhood hunger.